In 2015, the inaugural Relay for Life of Cherry-Voorhees raised nearly $67,000 for the American Cancer Society through sponsors, supporters and nearly 400 registered participants. As event coordinators now plan for the Relay’s return for the second year, they’re hopeful they can build off the success of 2015 and raise even more money in 2016 with even more participants. 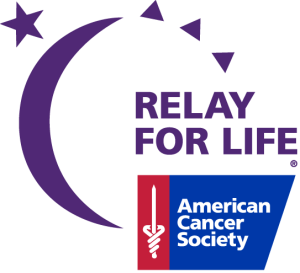 Each year, the American Cancer Society coordinates more than 5,000 Relay For Life events in more than 20 countries to raise funds to support cancer research and help improve the life for cancer patients and caretakers. The “Relay” name is reflected at the events by the cancer survivors, caregivers and anyone else affected by the disease who all come together to continuously walk laps to symbolize how fighting cancer is similar to a relay race where everyone has a part to play. During the Relay events, participants and their team members usually set up miniature campsites where they can relax, get to know the other teams, enjoy food, play music and even sell items or snacks to raise more money for the ACS. Ryan Legato, a member of the Cherry Hill-Voorhees Relay leadership team, described Relay events as ways to bring members of the community together for a fun event while also shining a spotlight on the fight against all forms of cancer. “There are a lot of people who don’t get to experience a walk for just their type of cancer and so this is for them,” Legato said. Leadership team member and cancer survivor Jeanette Golden, who was one of the main founders of the Voorhees Relay several years ago before the event also covered Cherry Hill, said she has been participating in Relay for Life for nearly 20 years. Now that the Cherry Hill-Voorhees event was more established, this year Golden said she hoped to get more kids and students involved with the cause, especially those who have family members who were affected by cancer. “These kids need at outlet and this is a great outlet for them to feel like they’re doing something … these kids just want so badly to make a difference in the lives of people with cancer,” Golden said. Legato also agreed that Relay was a great way for kids to feel more empowered in the fight against cancer. “Pretty much everybody has someone in their life, either a relative or a friend or a friend’s relative that has been affected, so really it’s everyone’s problem, which makes it a worthwhile cause,” Legato said. Changes to this year’s Relay also include a move to new location at Beck Middle School in Cherry Hill, and the event will also take place about one month earlier, on May 21, to provide for cooler temperatures. The event will also have slightly longer hours than last year, with this year’s Relay set to last from 2 to 11 p.m.
For those who have never participated in Relay before, Golden said the fundraising and effort was well worth it. “I’ve gotten way more than I’ve given, so the more you give of yourself in any position, the more you get in return,” Golden said. Those interested in registering for this year’s Relay For Life of Cherry Hill-Voorhees can visit www.relayforlife.org/cherryhill-voorheesnj. Interested parties can also stay current on all Relay For Life of Cherry Hill-Voorhees news by following the event on Facebook at www.facebook.com/relayforlifeCHVRNJ/.